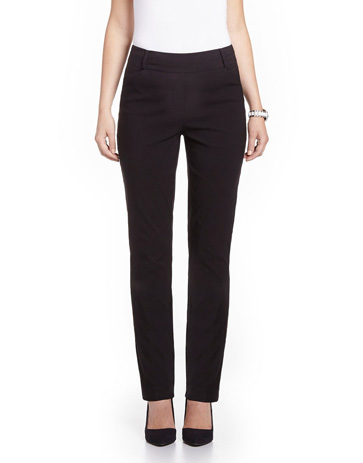 Thanks to its classic and minimalistic fit, these black pleated pants are great for office outfits. Featuring side pockets, an elastic waistband, and made of a stretch fabric, they will provide comfort all day long. Front rise: 11 1/4" ; inseam: 29" ; leg opening: 5 1/2"